I've always found things like this cool. 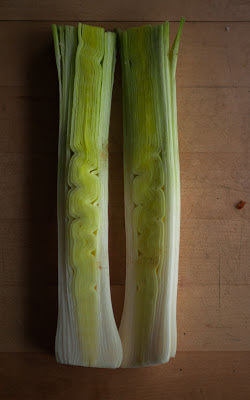 I split some leeks from a local farm to rinse their grit and came across this little wiggly, scrunched-up center to the leeks. 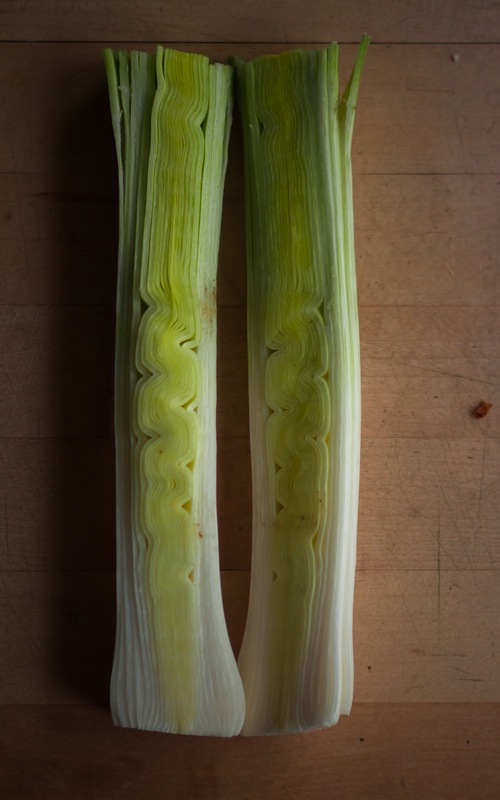 It's like after the outer leaves formed the core got compacted or dented in such a way that it created a beautiful, odd wave pattern. It's a simple thing, but I really like these little natural oddities.